On Tuesday 15th January 2019, Prince Rock attended the annual Plymouth School Sports Partnership Netball Tournament at Marjons. The children played five matches in total and had a mixture of results. We were proud of the children's determination and effort. This week, 32 teams have battled it out to win their spot in finals this Thursday. Each team have played exceptionally well, using great tactics, defence and most of all showing the School Games values throughout. Big congratulations to everyone and the above teams, we will see you tomorrow! Each team played amazingly and a huge thank you to the leaders from Eggbuckland, PHSG and DHSG for umpiring so professionally. 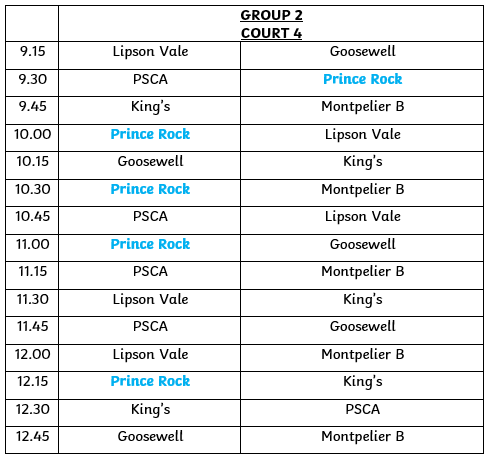 On Monday 10th December 2018, Prince Rock entered two teams to the UKS2 Netball Tournament at Lipson Academy. During the netball matches, both Prince Rock teams showed off their attacking and defending skills as well as their great teamwork. They also got to enjoy some skill-based games led by students from Lipson Academy. Our teams came second and fourth in their groups overall - well done Prince Rock! "Monday 10th December, saw 7 teams from our local primary schools come to Lipson Cooperative Academy to take part in the High 5 netball festival. Children from Salisbury Road, Lipson Vale, High View and Prince Rock all came along with the desire to achieve their best and take home the gold medal for their school. It was evident from the start that these teams were passionate about netball. The standard of play and the quality of team work being shown was outstanding from start to finish. 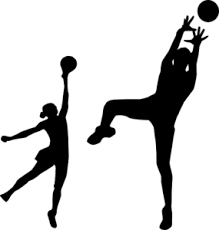 Due to numbers, the teams were put into two groups, with one group playing whilst the other group took part in planned netball activities in the gym. The activities were led by Lipson Junior leaders and sports ambassadors, and it allowed for the teams to develop their netball skills further. For this festival all the teams within their group’s played each other with 5 points being awarded for a win, 3 points for a draw and 1 point for a loss. After both groups had played, it came down to identifying the teams from both groups who had gained the most points. This ended up being High View from Group 1 against Salisbury Road A from Group 2 to play in the final. After 6 minutes, the two teams were drawing. 3 additional minutes were added to allow for a winning goal to be scored. This eventually came from Salisbury Road A. A huge congratulations to Salisbury Road A team who were the 2018 High 5 netball winners. Congratulations also to High View who came a very close second. Well done to everyone who took part today. Everyone played incredibly well. It was a privilege to witness such determination and desire from the children who were playing. There love of netball was evident and it was great to witness. Lastly, I would like to thank the staff and parents of the teams for bringing them down and supporting. All the children were a credit to their individual schools. Also to the Lipson Sports leaders and ambassadors for umpiring, time keeping and leading the activities in the gym. You all did a great job in helping to make this event run as smoothly as it did. Thank you for all your hard work."